If you’ve ever sifted through several hours of GoPro footage from your last holiday in order to find the good bits, you’ll be familiar with the main downside of action cameras. Namely, it’s the ratio of how much footage you capture versus how much decent footage you capture. That awesome moment when your canoe tipped over and plunged you underwater, in the midst of those middling three hours when you paddled through a calm summer’s day. Well, this tech startup reckons it has a solution. 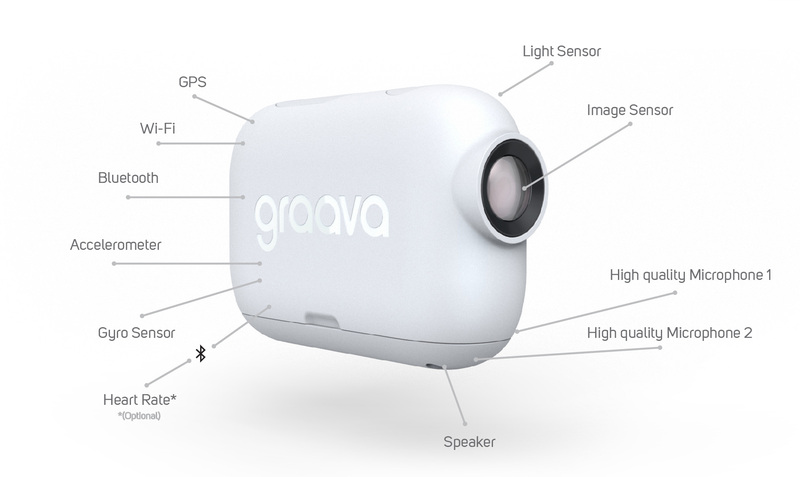 Graava is an artificially intelligent action camera that promises to automatically edit your videos for you, using sensors and algorithms to select the most interesting moments in your footage, splice them together and upload the result to the cloud as an immediately shareable video. How does it work? First off Graava is equipped with five sensors, all of which it uses to identify these interesting moments. First are the obvious ones – camera and microphone. If something makes a lot of movement in the frame, or if a sudden noises occurs, Graava will make a note of a likely interesting moments. It’s also got an accelerometer, for those who like to mount a GoPro on their cycle helmet or similar. Once you start to speed up, or abruptly slow down, Graava knows that something’s happened. 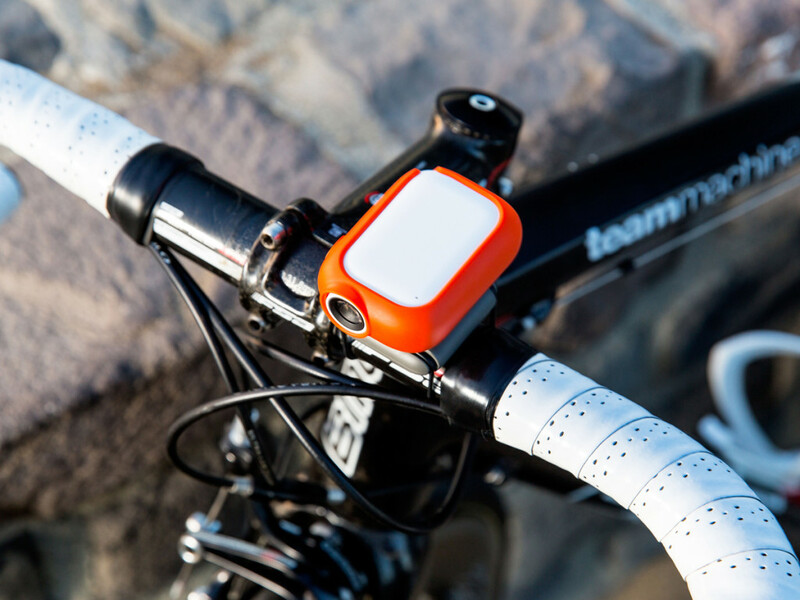 The fourth sensor is an interesting one – a heart rate monitor. This does need the user to own a smart watch in order to work – it’s currently compatible with Apple Watch or Android Gear – but if you have the necessary kit then it will flag up spikes in your heart rate as moments when something interesting has happened. The final sensor is GPS – if you pass by a notable landmark or interesting sight, Graava will know about it. There’s also the option for direct user intervention – if you say “Graava” to the camera it will flag a moment it may not have caught. Once you’re done, you use the smartphone app to specify what you want the camera to create (e.g. summarise 3 hours of video in a 2-minute clip), then put it on charge and connect to Wi-fi. Graava will then edit and process the video, and give you a notification when it’s ready. This can take variable lengths of time depending on your internet connection. You aren’t completely leaving things up to the machine – a drag-and-drop editing bar allows you to take shots out or drop unused ones in, and Graava promises that its algorithm will learn from this behaviour and adapt its editing accordingly. Graava shoots 1080p video at 30fps, or 720p at 60fps. Its lens features a 130º angle of view and it has some image stabilisation functionality. It carries a water-resistant rating of IP67, meaning it’s fine in the rain but you shouldn’t take it scuba diving. It also comes with a number of accessories and mounts, as well as a charging stand that allows it to power up wirelessly. Graava is available to pre-order now, and if you order before September 1st you can get it at a discount price of $249 (about £160). That’s down from a retail price of $399 (about £256). Visit Get Graava for more.